With the increasing rates of interest in banks and a steady rise in investment schemes, you can now invest and reap much greater benefits than before. However, there is one thing that you need to be wary of – you need to know where to invest and how to invest your money! If you do, then more than half of the work is already done for you. In that light, a well-crafted recurring deposit investment can help you sail through immediate financial needs seamlessly! Well one of the most effective ways to maximize your returns and effectively invest your money is by investing it in recurring deposits. Recurring deposit is a system of investment in which you will have to deposit a fixed amount every month to the bank for a certain time period, at the end of which you will receive the interest money. This is ideal for people who are salaried or have a source of a regular income. All you need to do is find the right rd calculator, calculate your rd returns and then open an account for yourself. 1. For starters, consider the situation where you have some surplus left from your monthly family expenses. If you want to make sure that you roll the money and increase it, then you can go for a recurring deposit for a fixed period of term. This way your savings will not increase at the rate of interest offered by the bank on savings accounts, which is very less, but rather you will get a lump sum amount at the end of the term. 2. Another huge benefit of having a recurring deposit is that you can select your term period, the minimum of which is six months. You can deposit for any time you like and you will be able to withdraw the money any time you want after six months. Caution: If you want to withdraw your money before the minimum span of six months, then you will not get any interest on the deposited amount. 3. 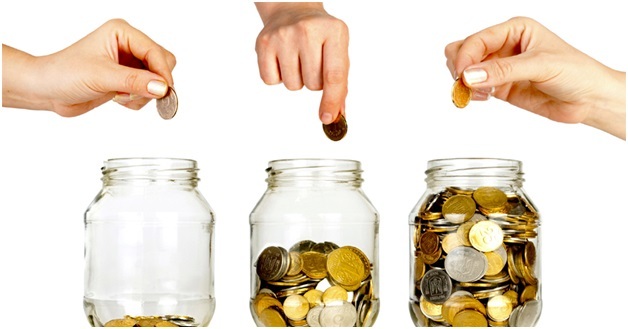 If by any chance you want to apply for a loan, having a recurring deposit will help you a lot. The deposit amount can be used as collateral for your loan, and hence it becomes much easier for you to get one. 4. Well if you want to save up on TDS then opt for a recurring deposit, because no TDS is ever deducted from a recurring deposit account! 5. One of the major benefits of recurring deposit is that the rate of interest that is promised at the beginning of the term remains the same throughout. No matter what there will never be a change in the interest rate. 6. And finally, you can start a recurring deposit with any amount, as low as Rs. 100 per month. Thus, you see that there are so many benefits of having a recurring deposit account. So, what are you waiting for? Reach out to Kotak Mahindra Bank and open your recurring deposit account today!